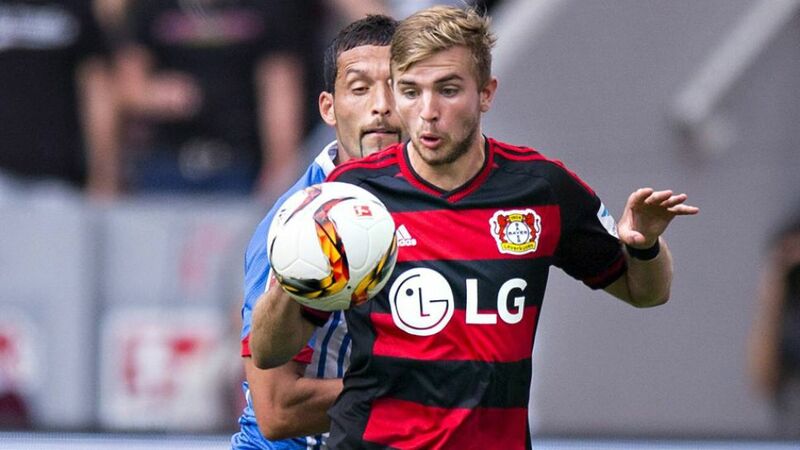 Leverkusen - Bayer 04 Leverkusen midfielder Christoph Kramer spoke of a "dream" coming true on his debut for the club following their 2-1 victory over TSG 1899 Hoffenheim, who rued their own wastefulness in the final third. Christoph Kramer: "A little dream of mine has come true. I always wanted to play here in the arena with the first team, which I was able to do today. We won the match, so that gives me a 100 per cent win ratio so far! Every game is really hard work – that’s the way it is in football. We had so much power going forward today, and that allowed us to get into a lot of dangerous positions. We were really good in the last hour or so of the game – Hoffenheim didn’t really threaten very much in that period. We nipped a lot of their attacks in the bud and that was really good. But we need to make sure we’re a bit calmer in the final third in order to create clear-cut chances." Kevin Kuranyi: "I’ve become older and more experienced in the past few years and the Bundesliga has changed as well - it’s become stronger. I need to keep working hard in order to help the team more. There’s definitely plenty of room for improvement. I want to play the full 90 minutes at some point. Compared to the defeat to 1860 Munich, it was a much better team performance from us today. The first 40 minutes in particular were very good. We need to build on that." Steven Zuber: “I think our main problem today was our final ball. We put some good moves together and broke well on the counter-attack, so if we could have played that last ball better then maybe we could have finished some of our moves of. Scoring my first Bundesliga goal was nice and I can be happy with that, but on the other hand we lost points, which is very disappointing.